How Much Money Do The Kardashians-Jenners Earn? 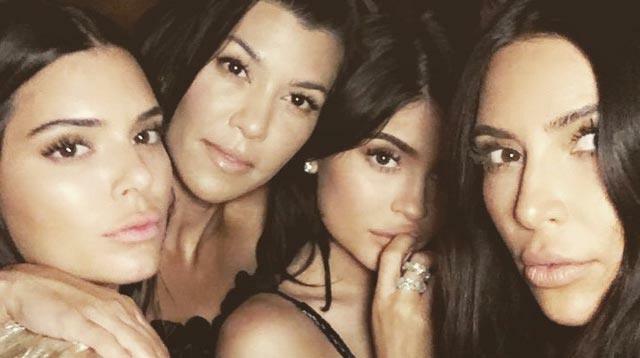 How Much Are The Kardashians + Jenners Actually Worth? Which sister makes the most? According to Forbes, in 2016, the Kardashian-Jenner women collectively made an estimated $122.5 million. But, in their empire, how much money is each woman really making? This momager earns $4.3 million every year from Keeping Up With The Kardashians (her kids make the same amount from the show). Kris also has a lot of other business ventures, like her line of faux pearls. A good chunk of Kourt's earnings comes from product endorsements. If you follow her on social media, you'd know that she's ambassador for SugarBearHair vitamins and Flat Tummy Tea, among other things. Unsurprisingly, Kimmy is the highest-earning sister, thanks to her endorsements, app, Kimojis, and now her KKW beauty line. She sold 300,000 contour and highlight kits on the first day alone and made $14.4 million. Koko's clothing brand, Good American, has had stellar reviews, you guys. Even Ashley Graham's a fan. It made $1 million on its first day. Also, Khloe's TV show, Revenge Body, is coming back for a second season. We all know Kenny's ruling the fashion world right now. Out of the $17 million she made in 2016, $10 million came from her modeling gigs. Kendall also shares a clothing line with Kylie as well as gaming app. In less than two years, Kylie's cosmetics has made around $420 million in sales, and is set to be a billion-dollar brand by 2022. And ICYMI, the youngest sister now has her own reality show called Life of Kylie.